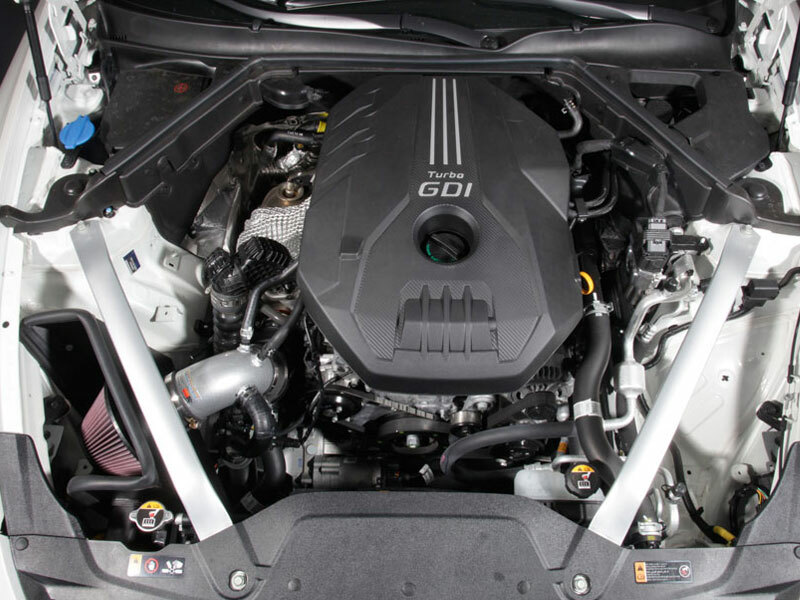 The K&N Typhoon air intake system is a free-flowing, mandrel-bent aluminum tube air induction system designed to fit some Kia Stinger models. 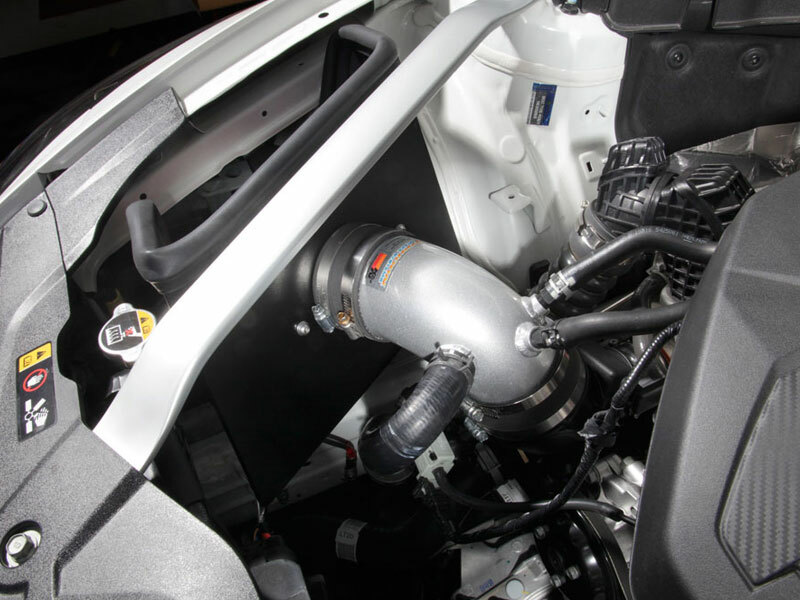 The restrictive factory air filter and air intake housing is replaced by the K&N Typhoon air intake system which is designed to dramatically reduce air flow restriction as it smooths and straightens air flow. This allows your engine to inhale a larger amount of air than the factory air intakes. More air means more usable power and acceleration throughout the engine’s RPM range. 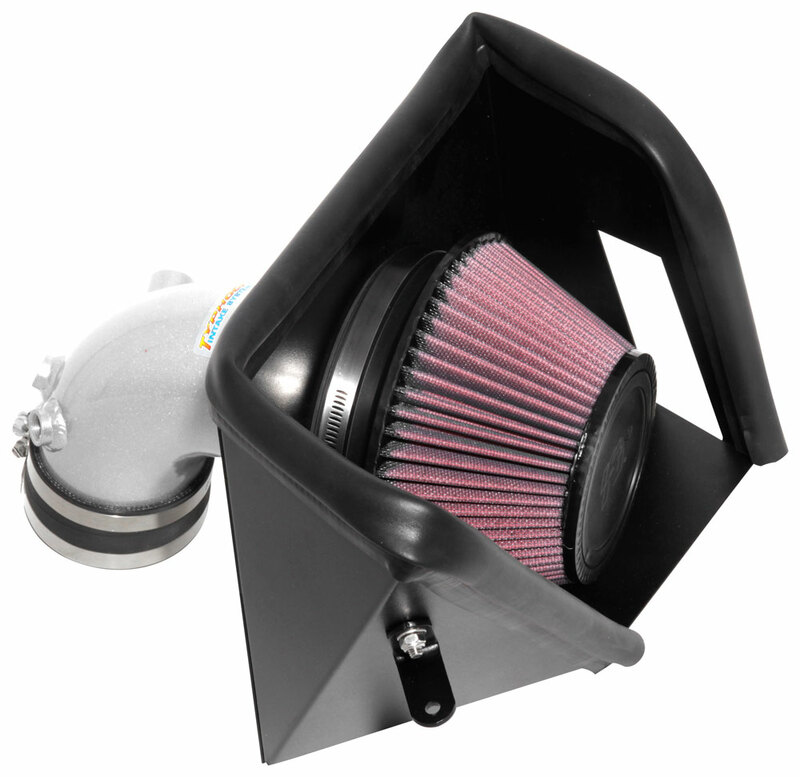 The 69-5320TS air intake comes with the standard black rubber topped K&N high-flow air filter and heat shield that install into the previous air box location. Air is directed through the intake tube into the engine’s throttle body for a guaranteed power gain. The intake tube has an attractive silver powder-coated finish that's made to last and accommodate the factory mass air sensors and crank case vent hose. The oversized cone shaped air filter can be used for up to 100,000 miles before servicing is needed depending on driving conditions. 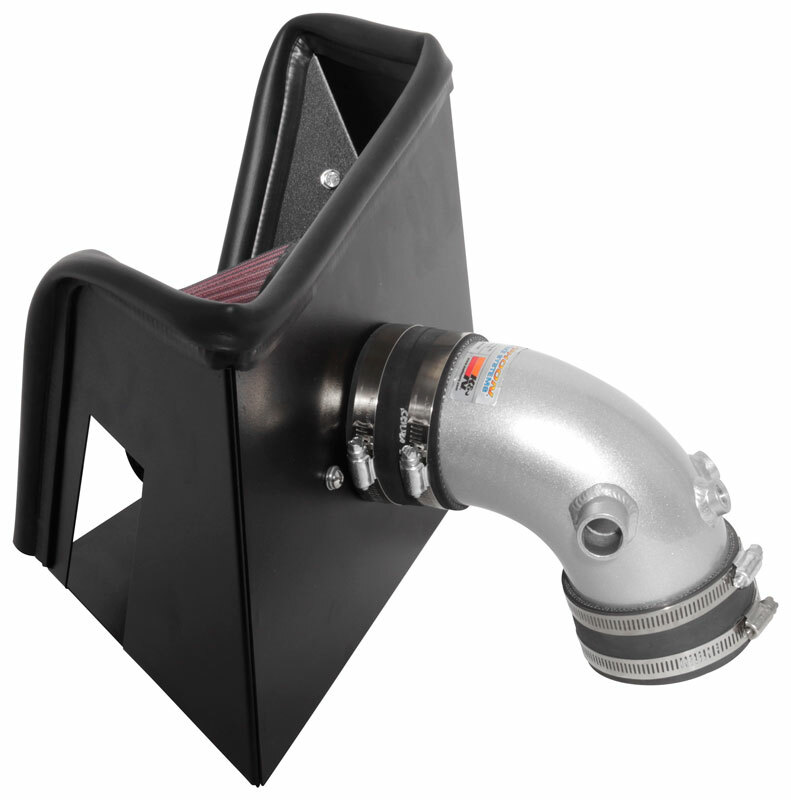 This air intake system is relatively easy to install usually in 90 minutes or less with basic tools using existing factory mounting points. PLEASE SELECT YOUR SHIP DESTINATION BELOW. If you do not see your location in the drop-down menu, please email sales@importshark.com for a delivery quote. K&N will not allow shipping California. We can deliver to locations within the state, but will have to use an intermediary location. This will add an extra cost to the final price, so please be sure to select "California" and not "USA" for shipping.